Katherine Sokolowski is a fifth-grade teacher in Illinois. She inspires her students to be lifelong readers and writers. 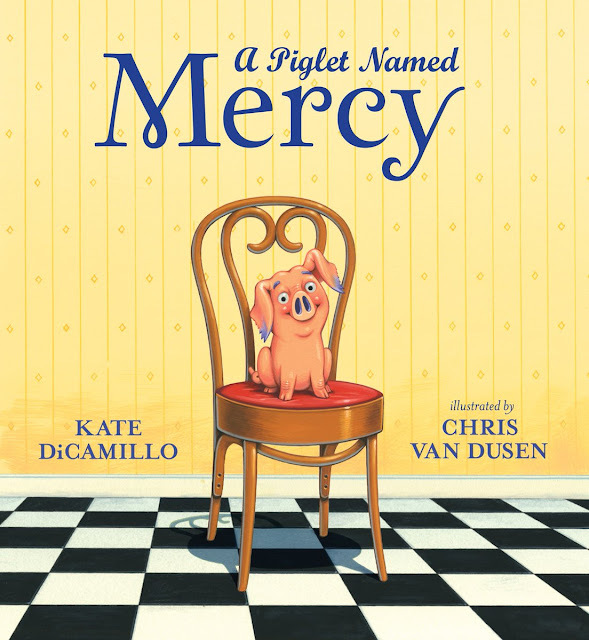 Her lucky students Skype with authors, connect with students and teachers around the world, and invite local authors into their classroom. Marianne Malone, the author of The Sixty-Eight Rooms and Stealing Magic, spent a morning with Katherine's students. I asked Katherine to complete the following sentence starters using no more than twelve words. *My students and I were excited about Marianne Malone’s author visit because most of them had never met an author in person before. *My students walked away from Marianne’s author visit inspired to try and write their own stories. *I connect students with authors because I want them to see that authors are “real” people too. *Marianne Malone stressed the importance of living life like a writer, open to ideas. 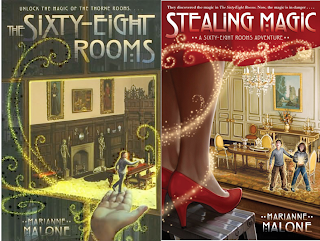 *You should read The Sixty-Eight Rooms and Stealing Magic because the children are relatable and the story is exciting. *The Throne Rooms are a magical place several students have now gone to visit. Katherine, thank you for dropping by Watch. Connect. Read. to tell us about your successful author visit. Download The Sixty-Eight Rooms discussion guide. 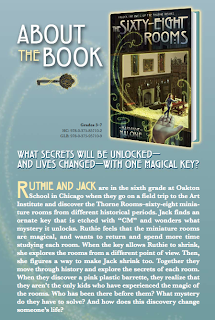 Borrow The Sixty-Eight Rooms and Stealing Magic from your school or public library. Whenever possible, please support independent bookshops. Thanks for reminding me that I need to get my hands on a copy of Stealing Magic. I know from you post earlier about The Sixty-Eight Rooms. These both must be good. Will try to find them!